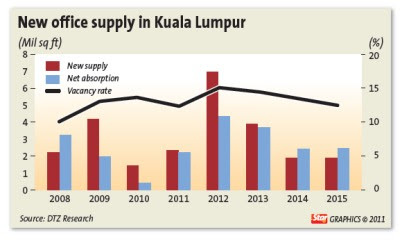 PETALING JAYA: The supply of new office space in Kuala Lumpur will be overwhelming this year making the market soft and competitive as tenants will get to pick and choose the best deals. DTZ Nawawi Tie Leung executive director Brian Koh said an additional 2.3 million sq ft in new office space this year will put more pressure on the market. He estimated that the average rental rate for office space in the city would ease by 5% to RM5.90 per sq ft compared with last year's figure. “Demand will not grow as fast as supply and this will result in a vacancy rate of 12.5% this year. With the increase in new office space, the rate of unoccupied space is expected to go up to 15% by next year,” he told StarBiz. Koh said an estimated 13.2 million sq ft of new office space was in the pipeline in the city between this year and 2013. He said the target to have 100 multinational companies based in Malaysia and the proposed growth of the services sector would augur well for office space demand. In its latest market report, DTZ Research said the overall occupancy rate of office buildings in Kuala Lumpur decreased from 87.1% in the third quarter of 2010 to 86.4% in the fourth quarter due to weak demand. Total office space in the city stood at 63.1 million sq ft of net lettable area. 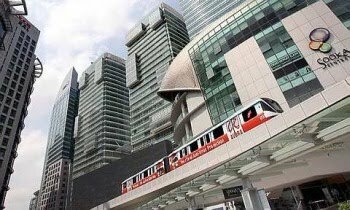 It added that office rentals continued to be under pressure in thefourth quarter of 2010 due to competition with average prime office rent going at RM5.97 per sq ft per month in the fourth quarter of 2010. Last year, 2.495 million sq ft were added to the market. The new buildings included Menara PJD (414,00 sq ft), HSBC new headquarters (175,000 sq ft), Cap Square Tower (600,00 sq ft) CCM headquarters (281,000 sq ft), MIDA Building (283,000 sq ft) and BRDB Tower (221,000 sq ft). He said the buildings, coupled with those completed in 2009 which were still being leased out, gave existing buildings stiff competition. Sarkunan said the average rental and occupancy as of the fourth quarter of 2010 have dipped slightly to RM5.09 per sq ft and 92% respectively. Prime office rentals in the city were between RM6.50 to RM10.00 per sq ft.
“The tenant-favoured market environment will continue to prevail. There could be more incentives other than rent-free periods for negotiations,” Sarkunan said. It would be tough to retain tenants and attract new ones, he said. “Tenant rapport is key. It is important to understand the geographical location and service type concentration in the area and target such tenants,” Sarkunan said. He said good grade office buildings in good locations, supported by amenities and public transportation would continue to be favoured by tenants. Offices within integrated developments that offer complementary support components such as retail and hotel facilities as well as MSC-status are expected to perform well. CB Richard Ellis executive chairman Christopher Boyd was optimistic that the market would be balanced this year with very little hangover from last year. Boyd said rentals in most prime buildings in city's golden triangle were from RM6.50 to RM7.50 per sq ft and from RM5 to RM5.50 for secondary buildings. He said a total of 4.21 million sq ft in new office office space will be completed in Kuala Lumpur this year and 5.46 million sq ft more will come onstream in 2012. GLOMAC’s wholly-owned unit, Glomac Alliance Sdn Bhd, has sealed a sale-and-purchase agreement with Score Option Sdn Bhd to buy 80ha of leasehold land in Puchong, Selangor, for RM77 million. In a filing to Bursa Malaysia yesterday, Glomac said the acquisition was in line with its core strategy to buy suitable land in Klang Valley with strong potential for a prime new development. 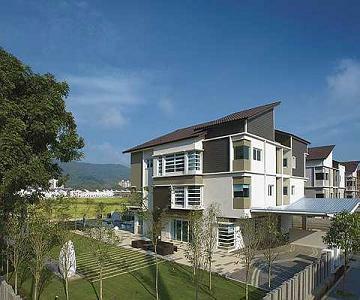 Posh: The semi-detached houses by BSG Property in Tanjung Bungah. BOON Siew Group Property’s (BSG) NineTen project comprising 40 semi-detached houses located in Tanjung Bungah will be completed by July. 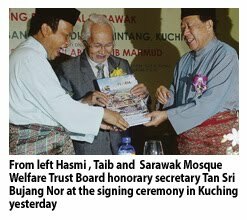 The project, which is part of the upcoming 48.5ha Permai Village township, will have the Tunku Abdul Rahman College (TARC) and Tenby International School (scheduled for completion in August) as “neighbours”. 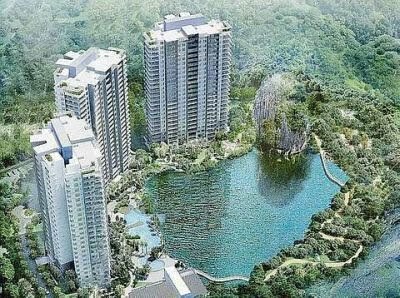 BSG property business development manager Koay Wei Loong said the units, aimed at the middle and upper middle class, have been bought by locals and foreigners mainly from Europe, Hong Kong and Singapore. “We made sure that everything is of the highest quality, because these buyers are usually very choosy. Most of our buyers are also repeat customers. “Besides buying for occupancy or as a holiday home, the customers will sometimes buy it for investment,” he said after holding a private preview for selected guests recently. 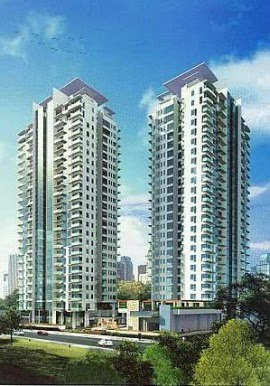 BSG property executive director Alfred Chew said that the units priced from RM2.4mil to RM5.8 mil are almost completed. Luxurious: Houses in NineTen project come complete with swimming pool. “We have sold 60% of the NineTen project. Landed property in Penang is in demand because of land scarcity on the island. These days, we see that buildings in Penang are moving upwards,” Chew said. 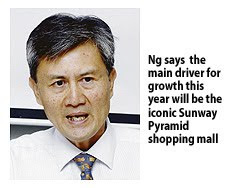 WHILE GUH Holdings Bhd continues to look at its printed circuit board (PCB) division as the primary driver of growth this year and in years to come, the firm continues to expand its landbank for other activities. Managing director Datuk Kenneth H'ng Bak Tee said for its PCB business, the company will move into niche, better pricing and future trend products such as light emitting diode (LED)-based special tuners and power supply. "In further restructuring our clientele base," he noted, "we are moving away from Taiwanese and Chinese clients who are generally known for their low pricing and being bad paymasters." While South Korean clients are basically associated with average pricing and are good paymasters, H'ng said the focus would be more on Japanese, the US and European clients who are known for not only good pricing, but also for being good paymasters. On the property development side, GUH is looking at acquiring land in the Klang Valley, Penang island and upcoming spots in Seberang Prai. He said GUH's Taman Bukit Kepayang development in Seremban, has so far seen development of 120 hectares and there was a balance of about 108 ha left to be developed over the next six to seven years. 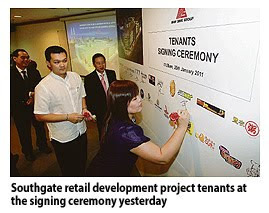 "We want to maintain our current build-and-sell strategy for residential and commercial development," he added. 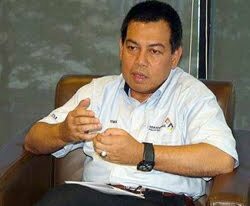 On GUH's plantation activities, H'ng said the 154 ha of plantation land in Kedah, acquired as a testing ground, had proven to be very successful and boasted industry-standard yields. "We are now looking to increase the estate size to between 1,200 ha and 2,000 ha in order to achieve meaningful economics of scale," he added. 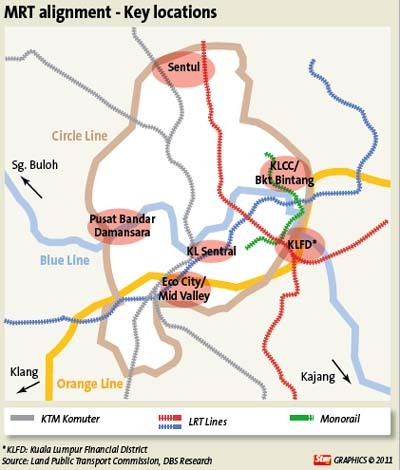 KUALA LUMPUR: A total of 342,179 property transactions worth RM96.77bil were recorded between January and November last year, which means the full year's transactions could reach the RM100bil mark, said Knight Frank Malaysia managing director Eric Ooi. Ooi was commenting on figures provided by the Valuation & Property Services Department director general Datuk Abdullah Thalith Md Thani at the Property Market Outlook for 2011 yesterday. “This is the first time transactions value has reached this figure,” said Ooi at the event organised by the Association of Valuers, Property Managers, Estate Agents and Property Consultants in the Private Sector Malaysia. In light of this, and considering Malaysians penchant for property investments, Ooi said it was unlikely that property values would fall. It may not rise as much as it did last year, but the uptrend is there. Ooi, together with Henry Butcher chief operating officer Tang Chee Meng, said property value rose between 30% and 40% last year. 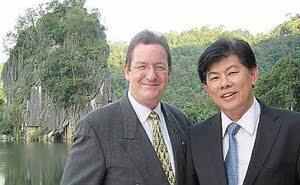 “This is the first time property went up so much,” Tang said, adding that he had never seen such record growth for the property market in 30 years. “The condominium market saw a price rise of between 60% and 100% between 2003 and 2008. This pales in comparison to the rise in value of landed units which rose as high as 40% in just one year. 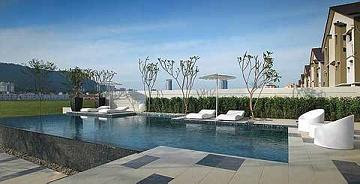 If one were to average out the rise in condominium prices, it is about 20% a year,” Tang said. Earlier, in his overview of the Malaysian economy and the Malaysian property market, director general of Valuation & Property Services Department Abdullah Thalith said it was very significant that the transaction volume between the 11-month period increased 12.2% year-on-year, but the value of transactions increased at a higher rate of 35% from RM71.67bil to RM96.77bil. 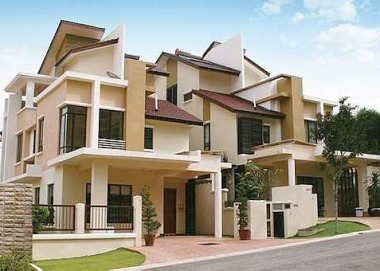 “The recovery of the Malaysian economy has reinvigorated the overall property market,” he said. In terms of lending in the broad property sector, the purchase of residential property took up the lion share of bank loan, at 58.8% compared with the purchase of non-residential property, at 22.1%. Construction took up 9.6%. “Credit expansion for the broad property sector in the banking system increased from RM342.09bil as at the end of September 2009 to RM391.25bil as at end-September 2010,” he said. “This means the residential property sub-sector remained the main mover of the property market,” he said. In this residential market, transactions in Kuala Lumpur recorded a growth of 8.2%, Selangor 7.2%, Johor 3.6% and Penang (island) 9.7%. Terraced houses continued to dominate the market, especially in Selangor with 27,165 transactions, Johor with 12,555 transactions and Penang 4,358 transactions. The city of Kuala Lumpur recorded more condominiums changing hands, 10,333 units versus terraced housing at 3,756 units.